As i'm sure many of you are already aware the RHS Chelsea Flower Show has returned for another year, undoubtedly one of the highlights of the gardener's calendar year. Many of our customers regularly attend the annual event which draws visitors from all over the world. Despite the glitz and glamour of this prestigious event, attended this year by the Duke and Duchess of Cambridge, we also have our own local ties. One of our regular customers: HMG Hot Metal Engineering have previously produced work for 2 gardens, winning Gold in the process and we wish them all the best for future events! 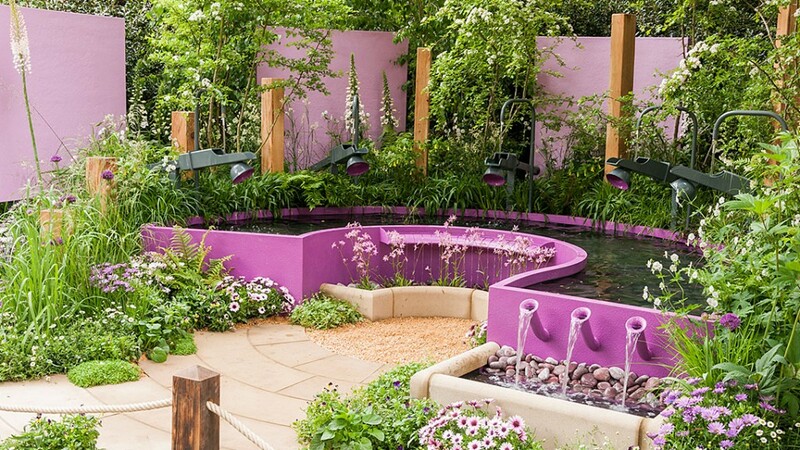 This year at the Chelsea Flower Show, “The Telegraph Garden” was named Best in Show (for the eighth time). The Best Fresh Garden is “The Marble and Granite Centre – Antithesis of Sarcophagi”. “Viking Cruises Mekong Garden” was Best Artisan Garden, and the Best Construction Award was given to “Swatton Landscape” for the “M&G Garden”. There are 6 Gold Medallist Show Gardens, 8 Silver-gilt Medallist Show Gardens, and 3 Silver Medallist Show Gardens. To mark Her Majesty the Queen’s Ninetieth Birthday, there will be various photographic exhibits at the show, along with two Floral arches, specifically commissioned in celebration of her Birthday. Sue Biggs, Director General of RHS said “The show is very much a celebration of the Queen’s birthday”. She also commented on how frequently Her Majesty had visited the show; 52 times as of 2016. Possibly the most poignant exhibit this year is Phillip Johnson’s Garden of Poppies tribute to those who served in wars. Inspired by an installation at Melbourne’s Federation Square on Anzac Day 2015, the garden uses almost 300,000 individually crocheted poppies, and covers nearly 2000 square metres. Diarmuid Gavin returns with The British Eccentrics Garden, which is inspired by a seemingly very British idea of elaborate machines doing simple tasks. Every 15 minutes, animatronics in the garden put on a performance for viewers, making this one of the most interactive gardens at the show this year. The Garden’s fascination with looking good is no surprise considering it is sponsored by Harrods, an upmarket department store located on Brompton Road in Knightsbridge. Peter Eustance’s Artisan Garden, titled “Papworth Trust - Together We Can”, was inspired by deaf solo percussionist Dame Evelyn Glennie. The Garden is cleverly designed with acoustics in mind, turning it into a giant musical instrument that plays musical notes throughout the show. It does this not through electronic trickery, but by using its materials and unique design to play music. As part of the Greening Grey Britain Campaign, RHS is held the RHS Front Garden Summit yesterday, May 24th. 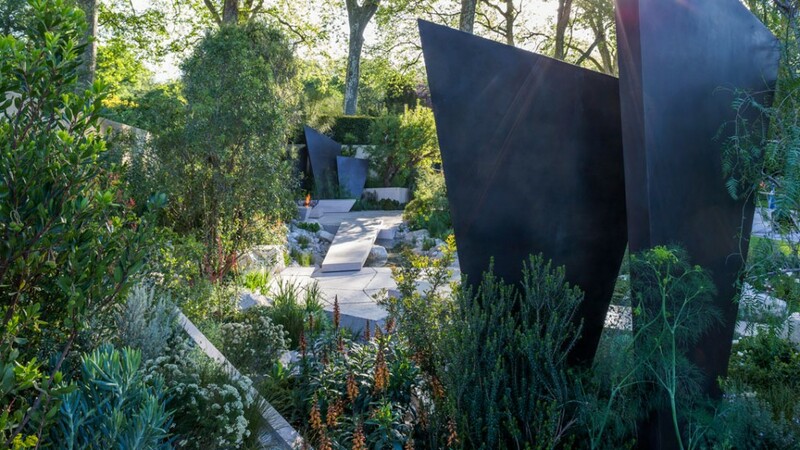 The Chelsea Flower Show is hoping to bring the question “how we can turn our front gardens green again?” into the front of the minds of both its television viewers and the first hand viewers of the Gardens in the show. The presentation and subsequent Panel discussion was introduced by Sue Biggs, Director General of RHS, and Chaired by Alan Titchmarsh. To catch up on the show so far click here to go to BBC iPlayer. Finally tickets are still available! If you are interested in going to Chelsea this year you can purchase tickets online from the RHS website.